Ony Dunnam holds a Bachelor's Degree in Law from the Andres Bello Catholic University (Caracas-Venezuela), and completed various courses and seminars on Entrepreneurial Management and Family Business from the same institution. With her extensive background in public relations and events logistics, Ony is enthusiastic about tapping into her knowledge of event planning to develop, coordinate, and manage lectures, conferences, seminars, and workshops at the Center for the Humanities. Prior to her arrival to the Center, she served as Administrative Assistant for the Cuban and Cuban-American Studies Institute (ICCAS) at the University of Miami. Reporting directly to the Director of the Institute, she provided logistical support for conferences and workshops at the Institute. She has also worked as a Business Director for an investment firm, where she led the company’s rebranding efforts and enhanced the position of its brand and product image throughout Latin America. In addition, Ony oversaw the development of all communications to clients and partners, and coordinated the logistics of conventions and special events. 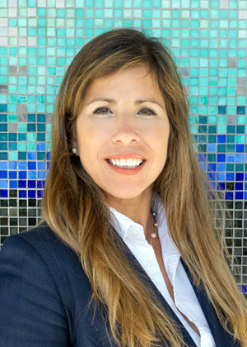 She also has extensive experience in human resources as well as operations management, as evidenced in her work with a distinctive portfolio of international clients in Venezuela, her native country.